N A I L S B Y J E M A: Donut Inspired Nail Tutorial! Today, I have something extra sweet for you guys. 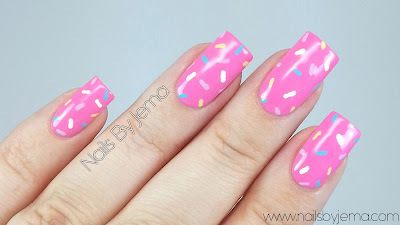 I have seen a lot of doughnut nail art with full doughnuts, but it's a bit advanced so I thought I would show you a way to create some really simple and easy doughnut inspired nails that all skill levels can do and are easy to paint on both hands. 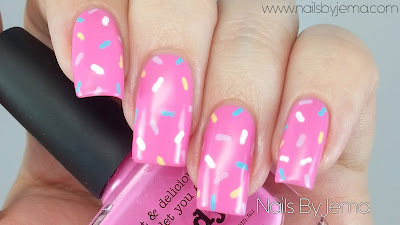 All you need is a light or medium pink polish, some colours to do the sprinkles with and a small dotting tool or toothpick. Watch the video below to see how easy and quick these are to do! I love these so much. They are so simple but so cute! 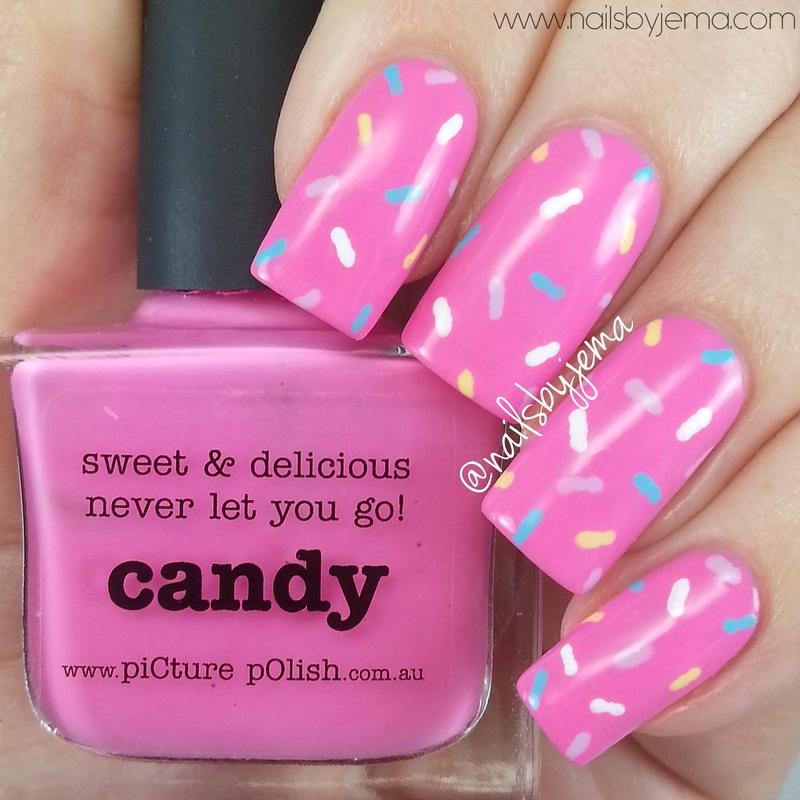 The sweetest nail art? I think so! 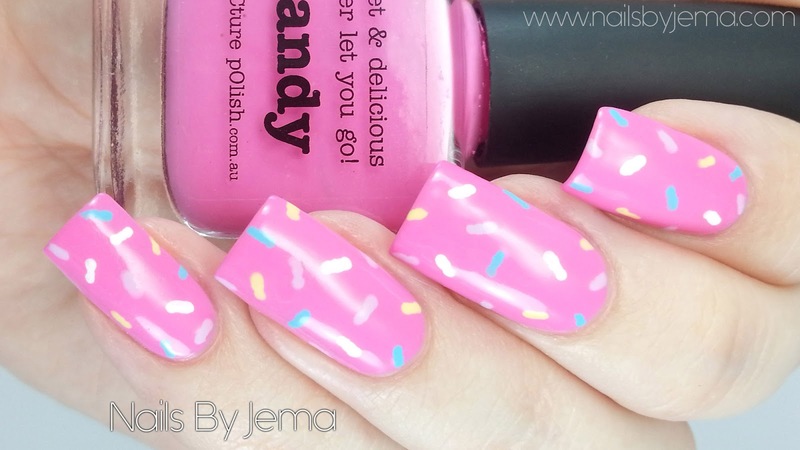 Now I want a doughnut baaad!